Welcome to WELL -- Women Educating, Learning and Leading ! Founded in 1995, with the original name of Women in Education and Language Learning, WELL is a volunteer-run organization focusing on women’s issues, open to any woman living in or visiting in Japan. While most members work and communicate in English and/or Japanese, teachers and learners of other languages are involved and welcome. WELL’s main activity is an annual 2-day conference/retreat at The National Women’s Education Center in Saitama Prefecture. Held in February or March, this event is usually attended by around 60 women. As a retreat, it offers women of all nationalities a place to network and relax. As a conference, it offers workshops and presentations by individuals and groups working on women’s issues in Japan and abroad. Language interpretation is provided. The next retreat will be February 8 to 10, 2019. 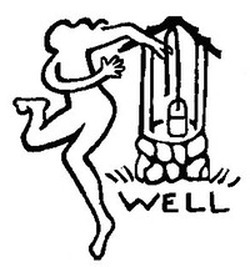 It's easy to join WELL! Just attend our annual retreat or one or our informal get-togethers in Tokyo, or participate in our on-going on-line discussion. Join our e-mail list for discussion and information on upcoming events.